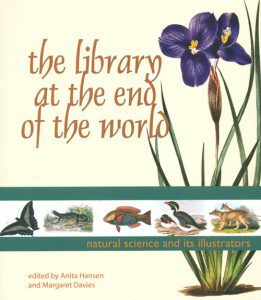 The library at the end of the world: natural science and its illustrators. Artist/Author: Hansen, Anita and Margaret Davies, editors. 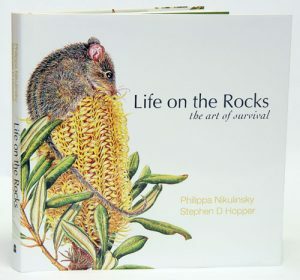 The artworks for this book are selected from the volumes held in the Rare Books Collection of The Royal Society of Tasmania Library. 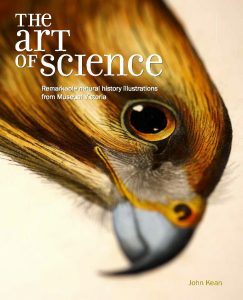 This book looks at the science behind the magnificent volumes examined, but also considers the artist who created the beautiful images. 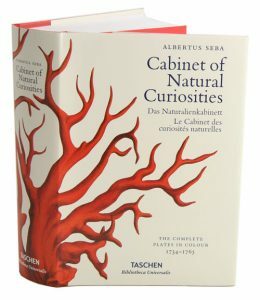 The volume starts with an historical overwiew and is divided into sections on vascular plants, lichens, orchids, crustaceans, insects, fishes, amphibians, reptiles, birds and mammals with introductions from expects in those fields. Artists represented are Sydney Parkinson (1745-1771), James Sowerby (1757-1822), Robert David Fitzgerald (1830-1892), John Curtis (1791-1862), Sarah Stone (c.1761-1844), Elizabeth Gould (1804-1841) John Lewin (1770-1819) and many others. Also available in paperback [stock id 37467]. 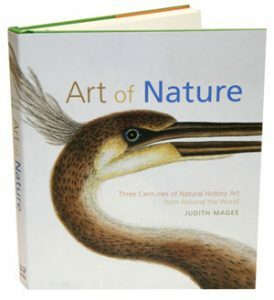 A beautiful guide for artists, natural historians, wildlife artists, and biologists. 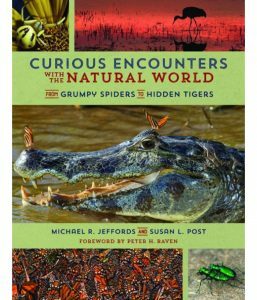 Whatever an artist’s experience, whether new to the subject or a seasoned entomologist, this book can help them capture the beauty of insects by helping them understand their structure and appreciate their behaviour, movement, colour, and habitat. 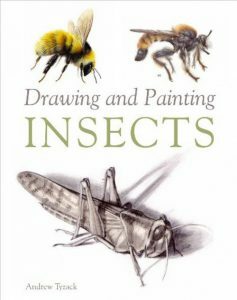 It offers advice on finding insects to draw and paint, including how to raise one’s own insect models. It also offers a guide to the anatomy and life cycles of the insect. Step-by-step demonstrations of drawings illustrate perspective, tonal values, and mark-making techniques. Examples of watercolour and oil paintings are given, representing insects in precise, scientific renditions as well as more creative interpretations. Other uses of insect illustration are discussed, including printmaking, sculpture, leather, and glass. The book is superbly illustrated by more than 500 examples and insights from leading artists. Complete guide to drawing animals. 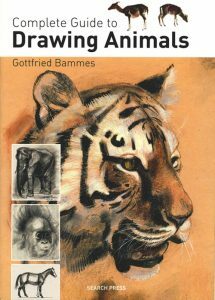 Provides expert guidance on all aspects of drawing animals – including size, proportion, perspective, anatomy, skeletal structure and musculature. 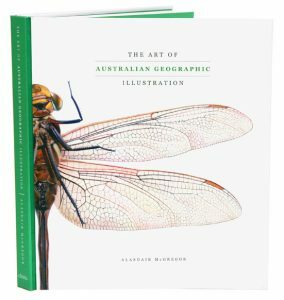 The book goes into great detail, and provides numerous diagrams as well as drawings in a range of styles and rendered in a variety of different drawing media including pencil, charcoal, pastels and inks. A huge range of mammals are included, from dogs, horses and cats to tigers, elephants, camels and apes, so whatever animal you are interested in, this book will enable you to capture its essence down to the last hoof or paw. Return to One Man’s Island: paintings and sketches from the Isle of May. Keith Brockie’s ‘One Man’s Island: Paintings and Sketches from the Isle of May’ (1984), immediately became one of the bestselling Scottish natural history books of all time. The combination of breathtaking wildlife images with notes and background information, captured unforgettably the beauty of nature, and in particular that of the Isle of May, a little gem of an island in the Firth of Forth. Since then Brockie has constantly returned to the Isle of May. From April through to October of 2010 he stayed on the island, working intensively to produce an entirely new set of drawings and paintings. With his eye for colour and characteristic attention to detail he has produced a huge number of artworks, mixing depictions of the majestic peregrine and white-tailed eagle with sketches of fluffy eider ducklings and kittiwake chicks. All the natural history of the island is represented, from its delicate maritime flowers to fish, crabs and lobsters. 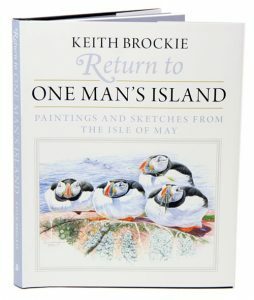 Return to One Man’s Island will be the publishing event of the year for those who loved Brockie’s original Isle of May book, as well as a whole new generation of readers and lovers of wildlife painting. Art of nature: three centuries of natural history art from around the world. An astonishing visual record of the exploration of parts of the natural world that had never previously been documented. 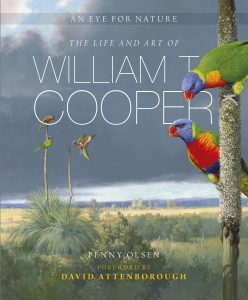 It features many of the greatest natural history artists of the last 300 years – Merian, Bartram, Ehret, the Bauer brothers, Audubon and Gould. Some were seeking fame as scientists or artists, others sought financial gain or at least the prospect of earning a living in what they loved doing. For some it also provided the opportunity to present their view of nature to a wider community. Continent by continent, Judith Magee draws on the unrivalled collections of the Library of the Natural History Museum to illustrate the development of natural history art through the centuries and its crucial role in furthering people’s appreciation of nature all around the world. Artist/Author: Donald, Diana and Jane Munro, editors. Charles Darwin’s revolutionary theories of evolution and natural selection have not only had a profound influence on the fields of biology and natural history, but also provided fertile territory for the creative imagination. 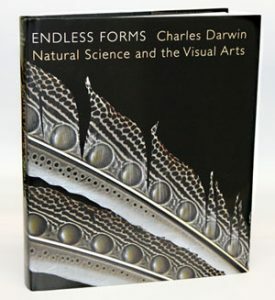 This beautifully illustrated book explores Darwin’s links with artistic traditions.